It’s difficult, although entertaining, trying to run a post-mortem on a TV show that ended decades ago. Particularly when that era was so different, even when looked at by one who was there for it. Such a look back is even harder when a number of the principals involved with the show have already passed on, and cannot share their insights any more. This is just an amateur’s wonderings; I wouldn’t have had the opportunity to speak with any of those we’ve lost, I’m certainly not someone with the privilege of speaking with those who are still this side of the veil. I have nothing besides what is already on the record out there. Lost In Space had tremendous potential: possibly even more than a certain other contemporary TV series, also set in space, and which I will not refer to herein, except as “That Other Series,” or “TOS” for short. Lost In Space had a classic premise, already tested in literature, a family of castaways, marooned far from home, trying to survive in a hostile environment. Guy Williams, alarmingly good looking, one time model, starred as “Zorro” in the Disney series of the same name. 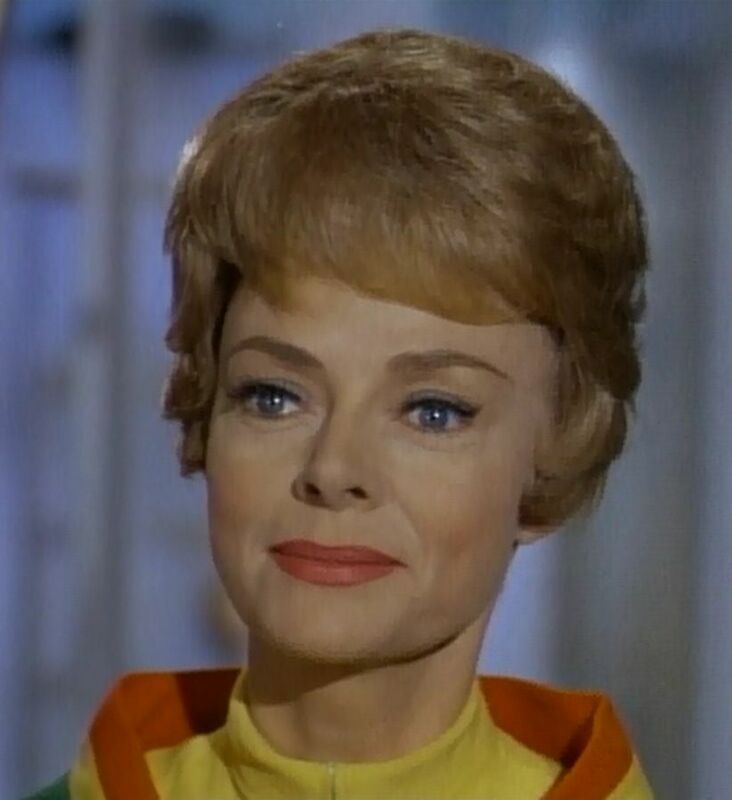 June Lockhart, well established as a dramatic movie actress, and came to Lost In Space after 6 years as Ruth Martin in the hit TV series Lassie. Long before Carol Brady, June was America’s Mom. Mark Goddard had co-starred in two popular series, Johnny Ringo, and The Detectives. Angela Cartwright was a well-known young actress from TV’s Make Room For Daddy, a role she played for 7 years, as well as Brigitte in The Sound of Music. Bill Mumy had not been a regular in any series, but was well-known from his three Twilight Zone appearances, in particular, the iconic episode, “It’s A Good Life,” and a number of other roles. Jonathan Harris was also a well established TV and stage actor, and had co-starred in two separate series during the 6 years prior to Lost In Space. Marta Kristen could be described as an “up-and-coming” performer. She had performed numerous TV roles, although no recurring characters. The leads picked to star in TOS were virtually unknowns. Many of the scripts too, were compellingly premised, and some visited the same themes as TOS, such as the Anti-Matter/Evil Twin, or an alien race which needs a lead character’s brain to run its computer. Even spaced-out space hippies. Other scripts drew from well-known motifs of folklore. “Wish Upon A Star” examines the classic motif of the Sorcerer’s Apprentice/Aladdin’s Lamp type story – a device which grants the user’s wishes performs in spectacular manner, until the user’s greed draws down retribution: the device ceases to work, and as further punishment, all the previous gifts disappear or are ruined. In this episode, it was (of course) Smith’s malfeasance, demanding in the end a servant; the machine was taken away, clothes given by it fell to rags, food rotted on the spot, etc. A similar parallel is found with leprechaun lore: after you have made one of the Little People surrender his pot of gold, you must spit into it, or the gold will change to coal or beans overnight. “All That Glitters” explores the same theme with its much-more direct re-telling of the King Midas tale. “Attack of the Monster Plants” was much better than its title, evoking Invasion of the Body Snatchers, putting a hostile, literally alien, being into the guise of a loved one – and incidentally showcasing Marta Kristen. Later, “Follow The Leader” explored the same theme as John Robinson is possessed by an ancient alien spirit. So: Lost In Space had a hell of a lot going for it: star power, good looking male leads right out of cowboy/Western action adventures, possibly the most famous TV Mom of the day, pretty girls, a little boy right out of Mark Twain, and a villainous foil to them all; solid premise; good, or at least decent, plots, and some very good set hardware. Special effects? Well. . .again, you have to look back and realize the era. There hadn’t been a whole lot of sci-fi on TV, and props and effects are expensive. Lots of the monsters were pretty cheesy, and got recycled in from Irwin Allen’s other sci-fi adventure, Voyage To The Bottom of the Sea. Special effects were mostly explosions. A lot of the aliens were downright laughable. In fairness, TOS had mostly better, but it had some stuff that was as bad as anything coming out of Lost In Space. So where did things go so horribly wrong? How did we go from the fantastic and heart-touching whimsy of “Mr Nobody,” the chilling evil of “Follow the Leader,” to a show where the writer actually apologized, later on, for the script? Where the actors could hardly finish a scene because they were laughing too hard at the absurdity of their scenes? It’s easy and fun, at this great remove, to point fingers and wink knowingly. It is, perhaps, unfair, especially to those who are no longer with us. 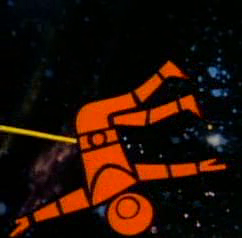 Possibly one significant event was that Lost In Space began to be more of a children’s show. Irwin Allen conceded as much. When the show went to color in the second season, he deliberately instructed designers to have lots of big bold colors about the set, and that the characters’ uniforms all be distinctively cued by their color combos. All this of course, because big bold colors help keep kids’ attention, and color-coded clothing (one can hardly call them uniforms any more, as they are specifically NOT “uniform”) not only helps the little ones easily identify their favorite character, but also carries over well for marketing. Also, the romantic angle of the adults’ relationships was severely curtailed. Allen likewise confessed to losing most of the physical affection between John and Maureen Robinson, as he feared it bored or embarrassed juvenile viewers. Don and Judy, who are clearly an “item” in the first season, soon shed that relationship in the second; indeed Judy becomes little more than wallpaper as Don is reduced to Dr. Smith’s antagonist and occasional pilot of the ship. And in the last season, Penny’s costume has been cut to de-emphasize her figure, in order to keep her character more juvenile (they did the same thing to Judy Garland in Wizard of Oz) and appealing to a younger demographic. And there was the “S-Word” – Smith. Doctor Zachary Smith, if you please. Of all the things which may have compromised the original vision of Lost In Space, Dr Smith usually takes a lion’s share of the blame. Perhaps that isn’t fair. Jonathan Harris knew his villains, and knew that the really evil ones tended not to have very long tenures in a role. 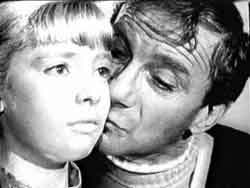 In the first few episodes, Smith is a bad man, a very, bad man, as young Mr Mumy said of someone else. There is no sense of whimsy about him at all; he is not comic relief. He segued Dr Smith from treacherous antagonist to a comical fiend, a veritable stooge. That by itself may not have been fatal to the show. After all, TOS, although lacking a comparable character, frequently wrapped up episodes with a few laughs around the captain’s chair (after cleaning away the red-shirted corpses), and even allowed entire episodes to be played for laughs. Or as another, maybe less-appropriate example, look at the Andy Griffith Show. Of course, that was a comedy to begin with. But even within the overall air of the show, Deputy Barney Fife was a comic relief stooge. He was not treacherous, as Smith. He was certainly bumbling, marginally competent (remember, he only had one bullet and had to keep it in his shirt pocket? ), and if not an outright coward, timid. 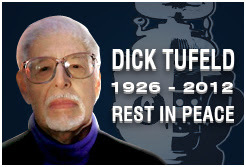 He had another shining child star to work with, and frequently played off of, exactly as Smith and Will. In the overall context of the show, his role worked beautifully, and not to the detriment or exclusion of other characters, or most importantly, to the integrity of the show itself. Harris can’t be blamed for wanting to add a few light notes around the edges. He may be guilty of overdoing it, going from light relief to complete burlesque camp. Often, his banter with the Robot is very witty and sophisticated. Too often, as the series progressed, it is not. But – he wasn’t in charge. I suggest much blame must turn back towards the producers and directors for failing to keep Harris in check. And it was a problem. He would rewrite entire bits of dialog, entire scenes, to showcase his clowning. Other cast members would complain to Allen and management of his escapades; their protests were disregarded. There was serious friction and hard feelings on the set, no question. But to paraphrase, Harris was doing what an actor had to do. More responsibility must be laid at the feet of those in charge, who allowed this one man to hijack a promising show to turn into his own personal vehicle. Harris’ Dr. Smith is actually quite a challenging character to get your head around. Mind you I’m speaking of the “core” Smith, not his outlandish buffoonery itself. What is there lovable about Zachary Smith? He is treacherous, selfish, cunning, uses children as human shields and would sell out any or all of the others for a trip back to Earth, or a mess of pottage, for that matter (in fact, just as the Scriptural Esau, he does exactly that; sells himself to “The Space Trader” for a week of groceries). I think what it is -and why the ladies in particular are so devoted to him- is simply that all his misdeeds are coming from a position of weakness. The supercilious, suave veneer covers a very timid, childish persona below. It is not so much that he is a coward, as that his cowardice is a symptom of his fragility, and the women’s protective, maternal instincts respond to that. Even us, watching him as a character, don’t feel anger at him, as much as pity for him. Every so often, he cracks, and we see a flash of something better in him. In “All That Glitters,” he approaches something like true remorse and repentance; I think he is truly ashamed of himself and grief-stricken over platinumized Penny (that is an extraordinarily touching scene as he kisses her cold, metal cheek.) He even says to the voice which controls the collar, “I don’t care about myself, it’s only Penny I want saved.” I believe when he says that, he is sincere. Unfortunately, his character is not as strong as his remorse, and he soon starts slipping back to accustomed ways. Related to that, I’d like to note that although Smith is most often associated with Will, he does also have a similar grandfatherly relationship with Penny. Typical of Smith, unfortunately, he will often take advantage of her naivete, and trick her into advancing some scheme of his; Will is usually not as gullible. He does so in “All That Glitters,” using her to get the collar, also notably in “Ghost In Space,” when he makes her play Ouija Board with him, and in “Wild Adventure,” when Penny sneaks up to the control deck to reset the autopilot with an Earth-bound course. A few relevant illustrations of some of these scenes may be found over in the Galleries, along with the observations that Penny gets less and less screen time as Season Two progresses, but a lot of what she does get is with Smith. I think something which might have helped was fewer, better writers, who would better coordinate a season’s storylines, subplots, side plots, etc., along with sensible character development: especially important when a significant part of your cast is kids growing up. One writer, Jackson Gillis, is generally credited with some of the best episodes of the series; he contributed only 7 of the 83. He was very much a freelancer, wrote for some very high-end and sophisticated shows, and would not be on the payroll for any studio, so it’s difficult to guess how much more he may have contributed. As it was, as the seasons advanced, the episodes become disjointed, lack an overall direction, and continuity suffers. Continuity is generally good through the first season; the only major gaffe is that the unnamed dog in “One Of Our Dogs Is Missing,” indeed is missing and unmentioned after his single episode. Possibly the biggest discontinuity is the sudden appearance of “The Pod” in Season 3. Also, the Robot’s behavior and loyalty exhibit a sudden and unexplained shift. Smith has programmed the Robot to respond only to his (Smith’s) voice. Will discovers that he can imitate Smith enough to deceive the Robot and order him about. As deep into Season One as “The Sky Pirate,” Smith seems to have exclusive command of the Robot; when the blob creature outside threatens, John orders Smith to order the Robot outside to “try and stop that thing.” Two episodes later, “War of the Robots,” he appears to respond to Will’s directions with no need for guile, and although he refuses to accompany John and Will back to the “robotoid,” it his own stubborn refusal, not sheer unresponsiveness to a non-Smithian order. Some continuity wins: a number of gadgets appearing in one episode show up again later. The Keeper’s cage, which he leaves Smith in, is there to capture the “Ghost of Space.” At the beginning of “Invaders From the Fifth Dimension,” Will has made a necklace of the diamonds Penny brought up from Mr. Nobody’s cavern. (Smith’s almost lascivious coveting of the diamonds yields the premiere of one of Smith’s most famous catchphrases: “Oh, the pain. The pain.”) A machine left behind by the Taurons becomes pivotal to episode 15, Return From Outer Space. Finally, the season-long quest for deutronium culminates with the season’s finale: they acquire enough for lift-off, and thus set the stage for the launch of Season 2 (puns intended.) After this, the sense of direction starts to slip, I think. Other beings seem to communicate directly by telepathy – the invaders from the fifth dimension, the alien spirit which possesses John in “Follow The Leader,” Penny’s friend, Mr. Nobody. In contrast, the Robinsons are never able to communicate with the Taurons at all. It is suggested, though not asserted, that they are pure telepaths between themselves at least; the lack of communication is an important plot point. Perhaps at some point you just have to assume the ability to communicate, or else the plot gets bogged down explaining it away, and I suppose that’s something that gets to be unnecessary and/or undesireable week after week. Like the Jupiter 2′s lavatory facilities, we can just assume they are there without seeing them, let alone seeing them actually in use. Oh. The pain. The pain. Mind you, even the half hour I saw just now got a little sloppy sentimental for me, and I remember some bits from long ago with the nasty blond girl and her mother that were probably just as silly as anything Smith came up with. But think abut it, it’s essentially the same show — family in the frontier wilderness, trying to survive. Of course on the prairie it’s a lot easier to have English-speaking guest stars every week, but it’s the same premise. But what a difference in the legacy these two shows left (sigh). I dunno. Maybe I’m just still so down from “The Curse of Cousin Smith” last night. Another difference is that in NPTH they are identified by their fields of expertise as they enter the freezing tubes; this is omitted in RS. In NPTH, Alpha Centauri is called a planet. The trip is to take 98 years, and while still in the opening sequences, it is said the ship will travel at the ‘almost unimginable speed of light.’ Therefore, this “Alpha Centauri” is nearly a hundred light years away and cannot be related to the star we know as Alpha Centauri (Rigel Kentaurus) which is only a tad over 4 light years out. In RS, the destination has been changed to “a planet orbiting Alpha Centauri,” and the duration has been reduced to 5 1/2 years, which fits with a speed of just under c. However, RS does not specify any travel speed. Oddly, in NPTH, when they encounter the meteor storm, the narration states that they are then travelling at 18,400 mph, a ridiculous fraction of lightspeed (in mph its about 670 MILLION!). 18,400 mph isn’t even escape velocity. I think this just has to be taken as a form of continuity error (the first of many, sadly). Interestingly, in NPTH, when we first see John’s logbook, he “believes” they were travelling for about 3 1/2 years, but are unsure of the clock; still, it is dated Dec. 2001, and he states they have been on the planet 6 months. This would mean that they actually were near the real Alpha Centauri! Allowing that Alpha’s near neighbor, Proxima C. is slightly closer to Earth, I think that is a likely landing spot. When they are crossing the Inland Sea, a reference is made to Mars. I think this is more of a throwaway line for Penny: she asks Will, “If we’re not on Mars, tell us where we are.” Will responds that they “Might be on Cerberus.” I think this was just silly girl/smart boy filler, as it implies Penny thinks they maybe are on Mars, which is pretty plainly impossible, or would be obvious if they were. Cerberus? Who knows? I think Will is just showing off. A last important discrepancy shows up at the end of RS. When the Robot starts wrecking the ship, they slip into hyperdrive (heh heh, sonny, that’s we had to git around with before them fancy-dan warp drives come along), and the closing narration states that the ship is travelling at “incredible speed” and leaving the galaxy. Well heck-fire Uncle Jed, why didn’t they just kick in the hyperdrive to Alpha Centauri and get there in a couple days? At least this is a plausible rationale for the distance they cover to get Lost In Space (to coin a phrase) although later on it is fairly clear they are still within our own galaxy. Remember, they are not even 8 hours out (in RS) when the meteors strike, and even at light speed, that’s barely out of the solar system. Damage to the guidance system or not, the Sun would still be a pretty obvious marker in the sky. helloooo!! please, write about follow the leader!!! thanks. How are yu Penny Robinson? 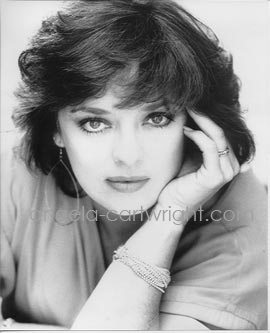 I joined The Angela Cartwright Fan Club way back in 1970 or so. I am still a die hard fan at the ripe old age of 58! Penny Robinson 4-ever!